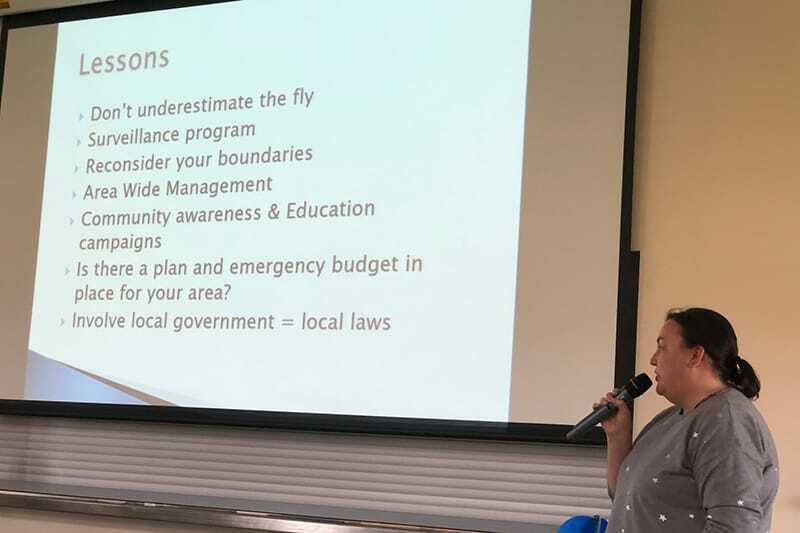 Interstate growers have imparted their key learnings and experiences in fruit fly management to a workshop of 60 attendees in The Riverland, South Australia. 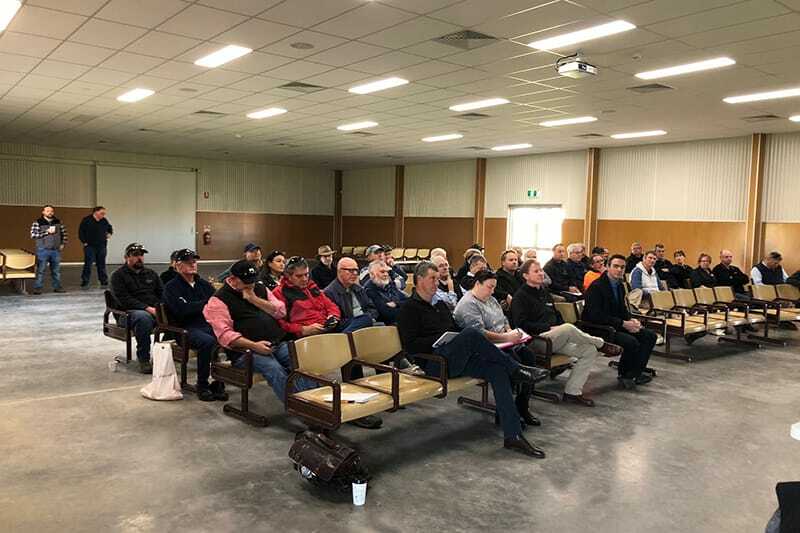 Growers, technical staff and grower liaison officers were among the key attendees of the workshop, which aimed to educate and provide information to grower members on fruit fly related issues. Citrus SA Committee Chair, Steve Burdette, said it was a space where growers could ask questions and enter into discussion freely. Graeme Hardwick from Agnova spoke about Queensland fruit fly and its life cycle, current interstate management strategies, the damage it causes and much more. Andrew Finlay, a stonefruit grower and sheep farmer from Stanthorpe in Queensland added valuable information about how he deals with the pest, which is native to his area. Other interstate speakers included Bill Robinson from Mildura Fruit Company and Darren Minter from Minter Magic. 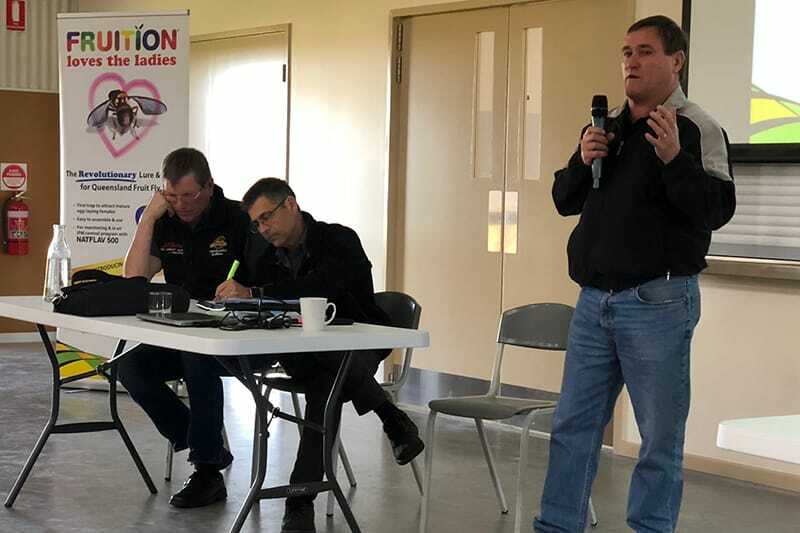 “Interstate growers have been working with Qfly for quite a while and their messages, combined with the other speakers, were very practical and informative,” Mr Burdette said. During a strategy session, focus was placed largely on area-wide management practices. “Area-wide management consists of many different control strategies and they could be clinical, they could be trapping, the release of sterile flies, or orchard hygiene – there are a number of factors involved,” Mr Burdette said. You can find out more about fruit fly control from Plant Health Australia, PIRSA or the PIRSA fruit fly hotline (1300 666 010). From left: Michael Trautwein, Jason Size, Summerfruit SA, Steve Burdette, Citrus SA chair. Stone fruit grower, Joelene Williams, shared the lessons learned from past fruit fly outbreaks in Victoria. New corporate partnership with shipping conglomerate MSC Are you GS1 DataBar ready?